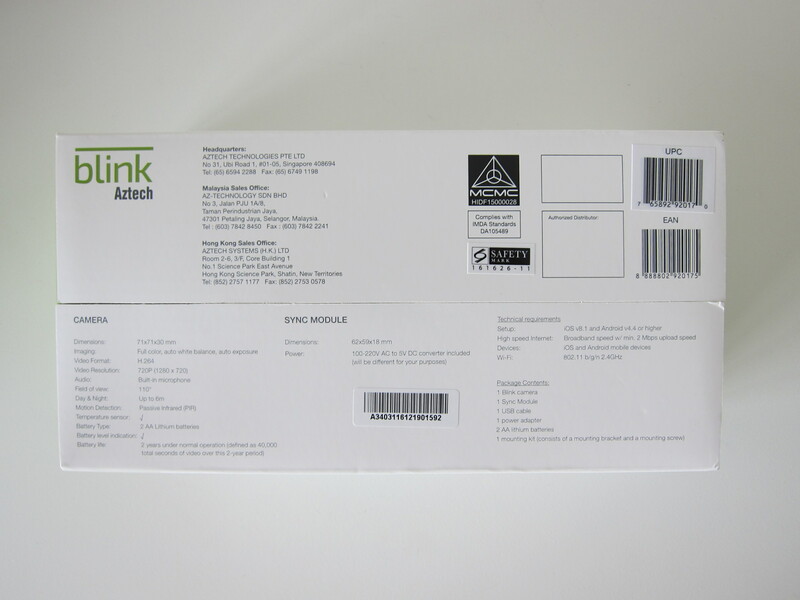 You can get Blink in Singapore because it is being manufactured by Aztech. 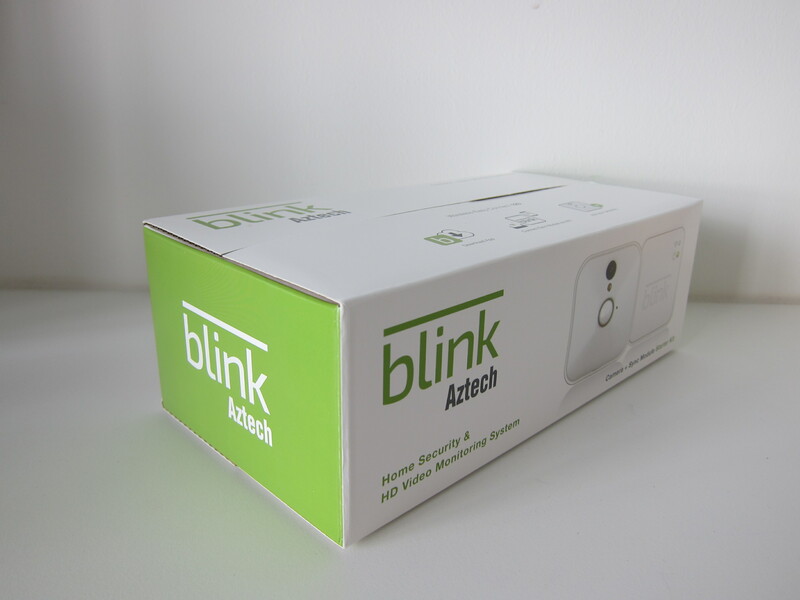 It is a partnership between Blink and Aztech where Blink designed the software/app and Aztech manufactured the hardware. 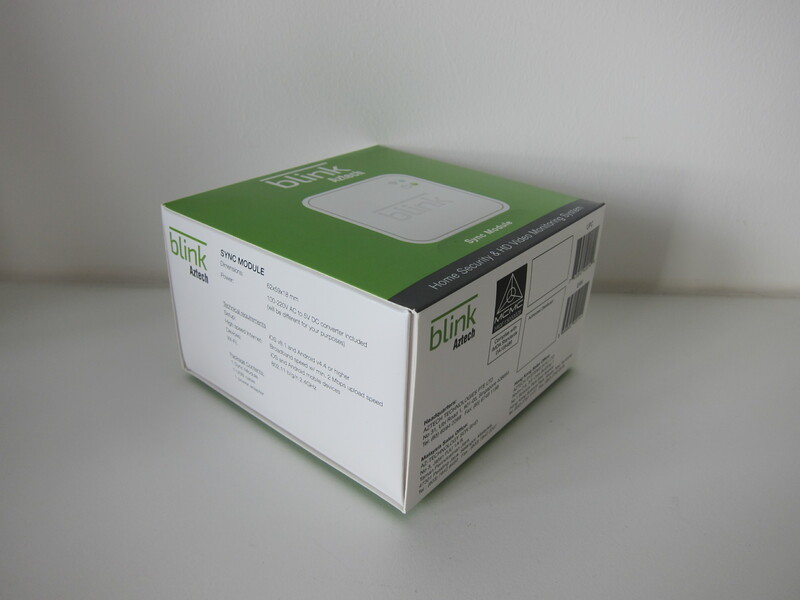 Blink is being sold in the US and UK under Blink (blinkforhome.com). 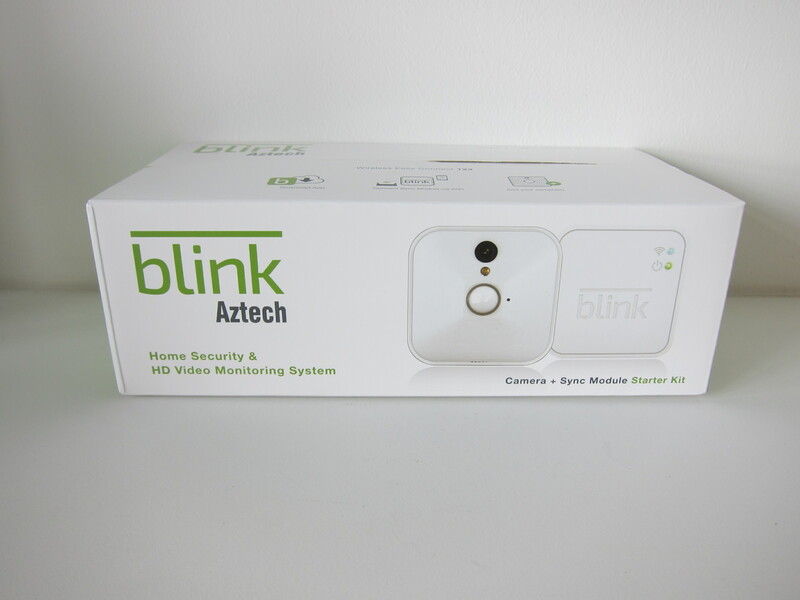 In Asia, it is being sold as Blink Aztech (aztech.com/blink). 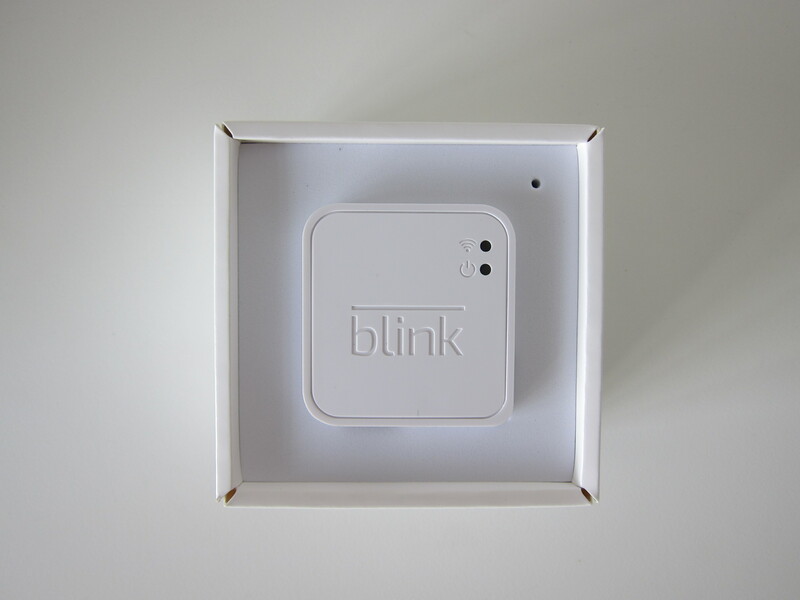 Blink was launched in Singapore on 13th January 2017 and you can get it from Challenger. 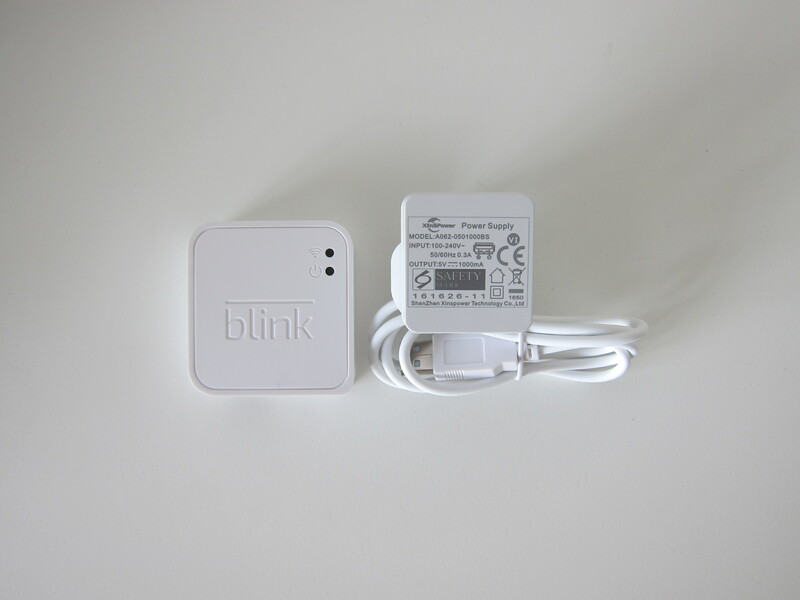 The Blink Starter Kit which contains the Blink Sync Module and Blink Camera retails for S$188. 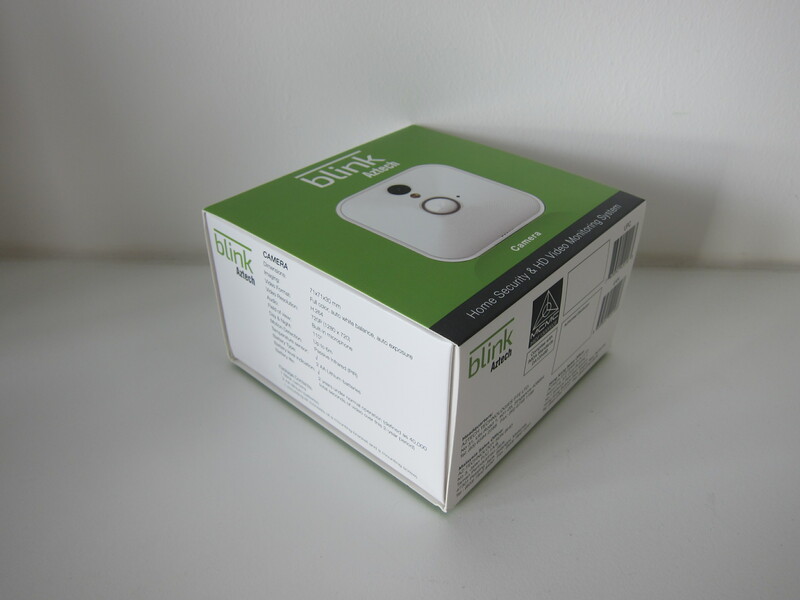 Additional Blink Camera retails for S$138. 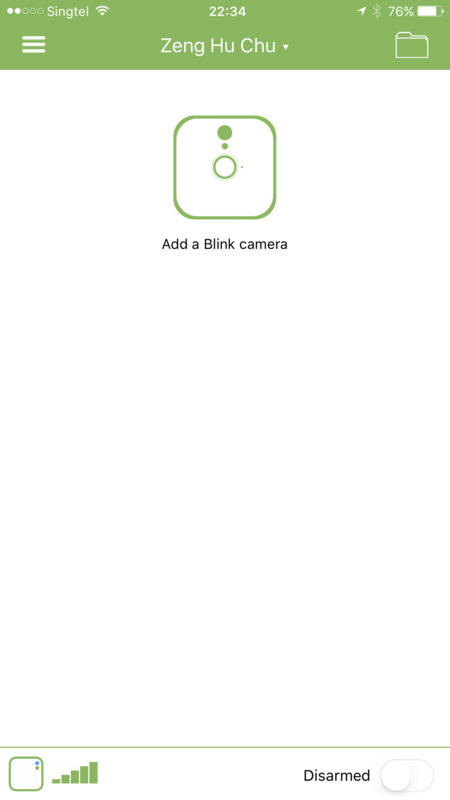 You can download the Blink Home Monitor app from the App Store or Google Play to setup the Blink System. 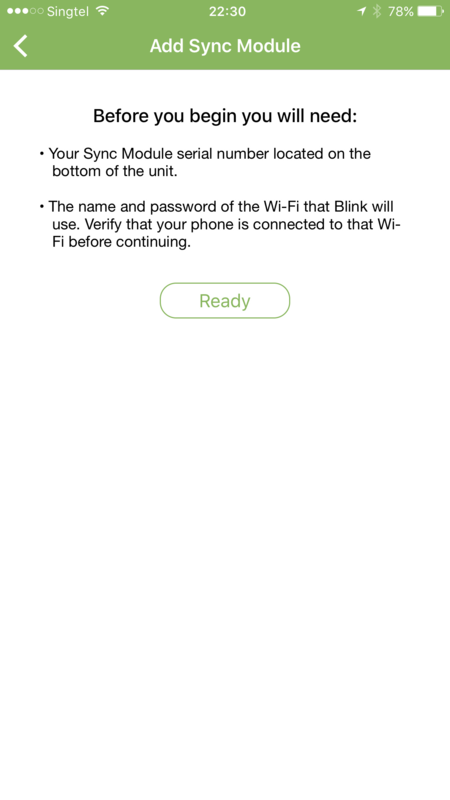 Setting up involves creating a Blink account first followed by connecting to the Blink Sync Module. 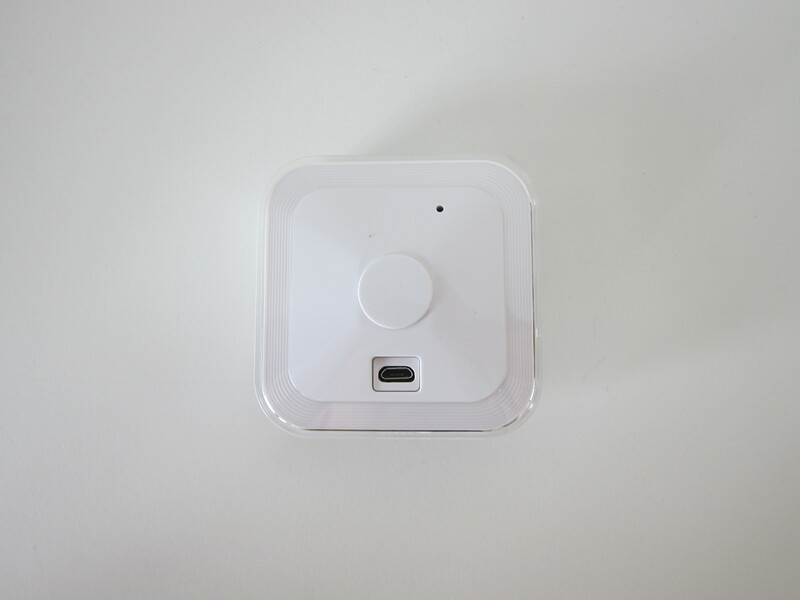 Because there is no Bluetooth support in Blink Sync Module, the setup can be cumbersome (I am spoiled by eero). 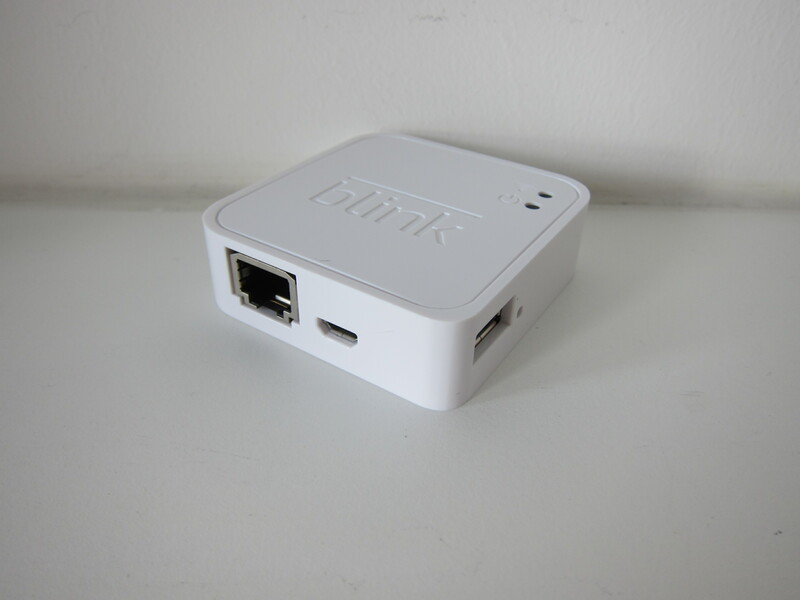 Basically, you have to connect to the wi-fi hotspot created by the Blink Sync Module and then use it to connect to your home’s wi-fi network. 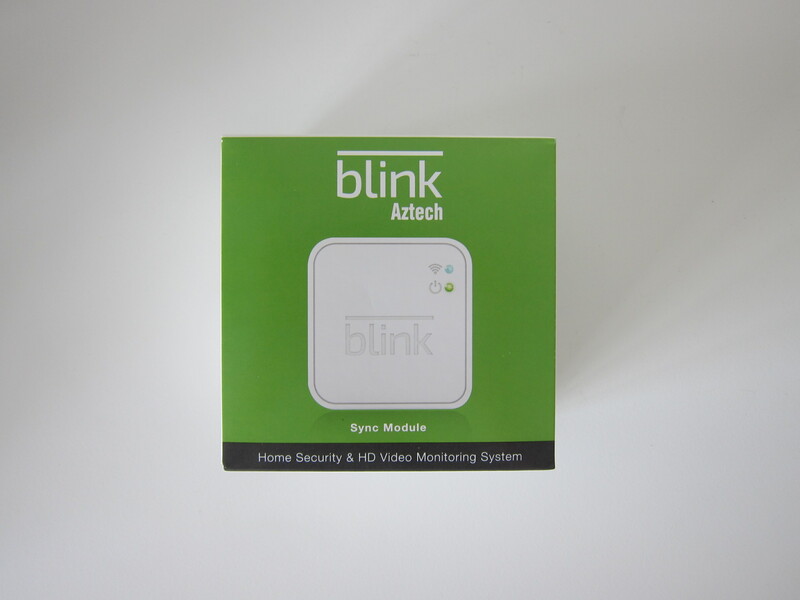 Once the Blink Sync Module has joined your home’s wi-fi network, getting the Blink Camera to connect to the Blink Sync Module is a much easier process. 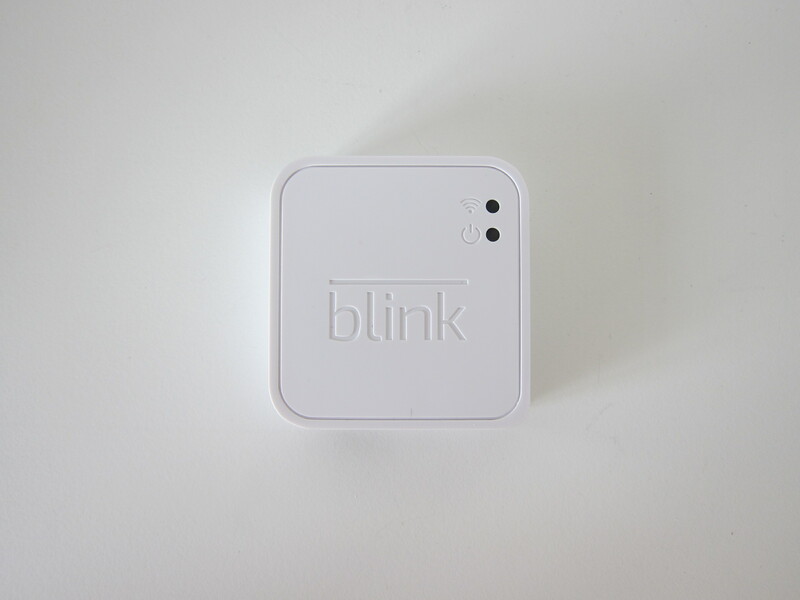 The main selling point of Blink is the battery-powered wireless Blink Camera. 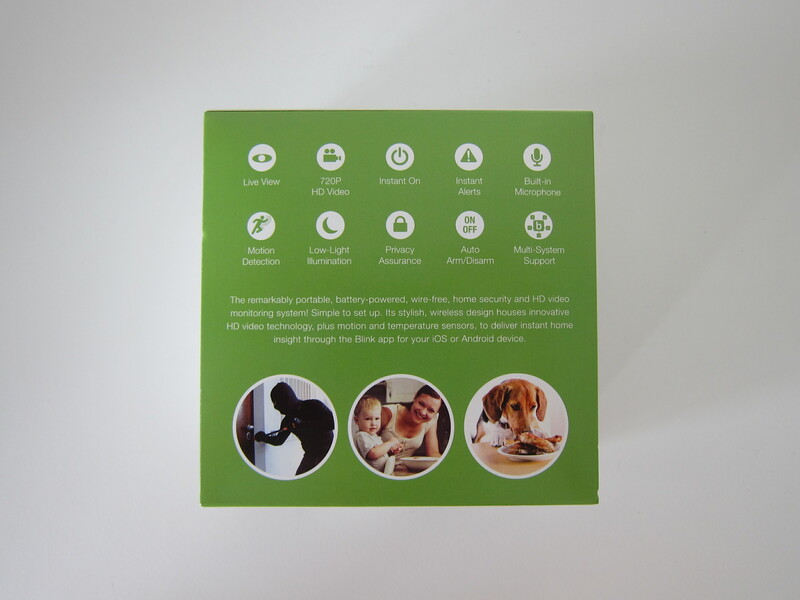 It is powered by just two AA batteries and it is enough to last you about 2 years. 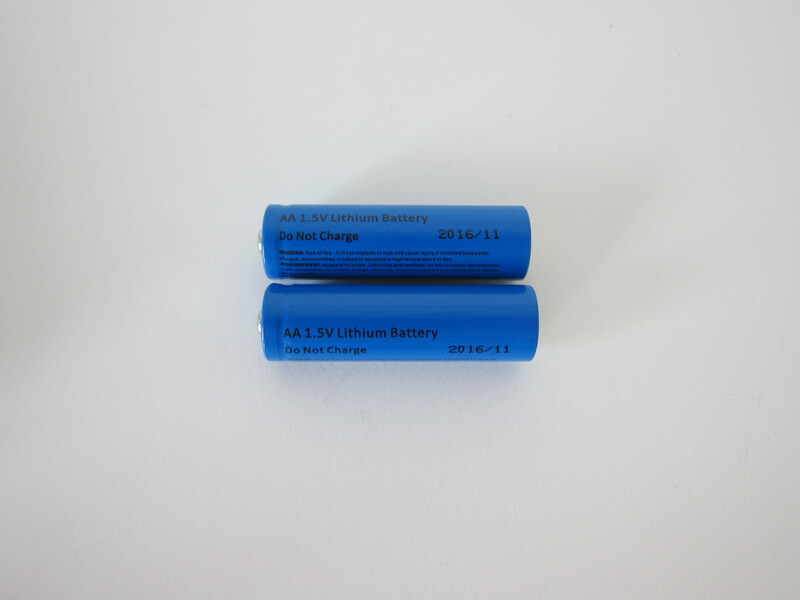 They recommend using Energizer Ultimate Lithium AA batteries if you need replacement batteries. 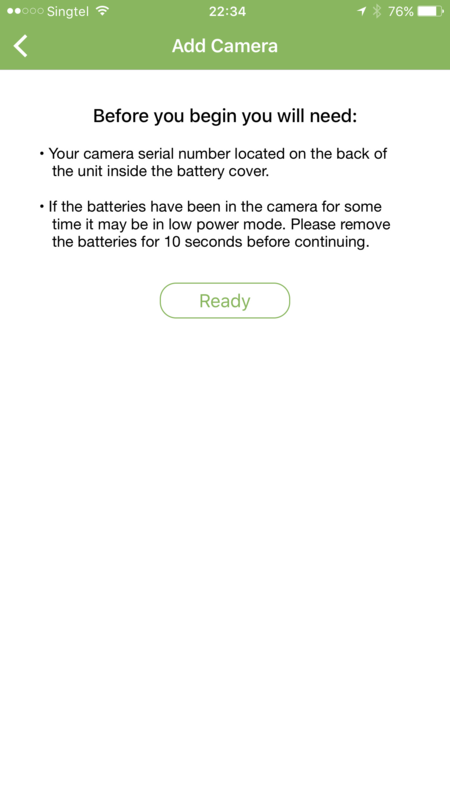 Avoid using Lithium Ion batteries as sometimes these carry a higher voltage and might damage the Blink Camera. 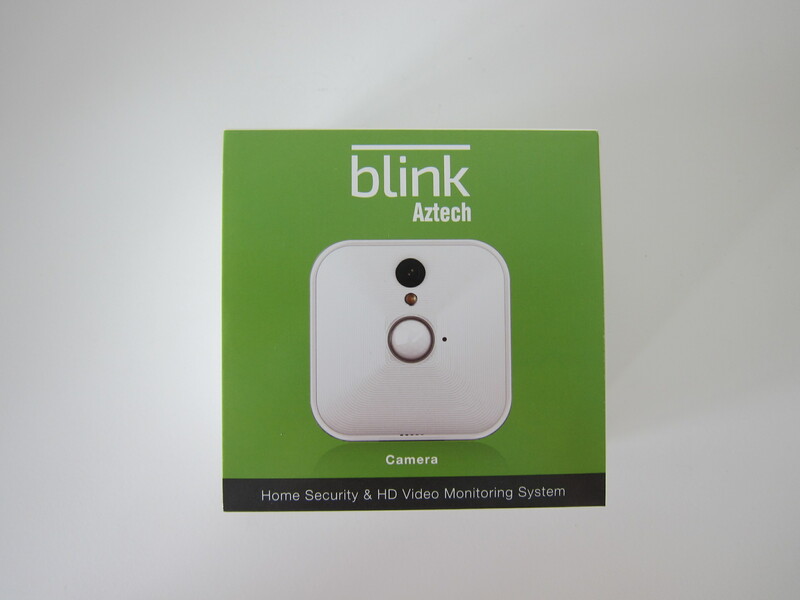 The Blink Camera has motion detection to trigger the recording of the event only when a motion is detected. 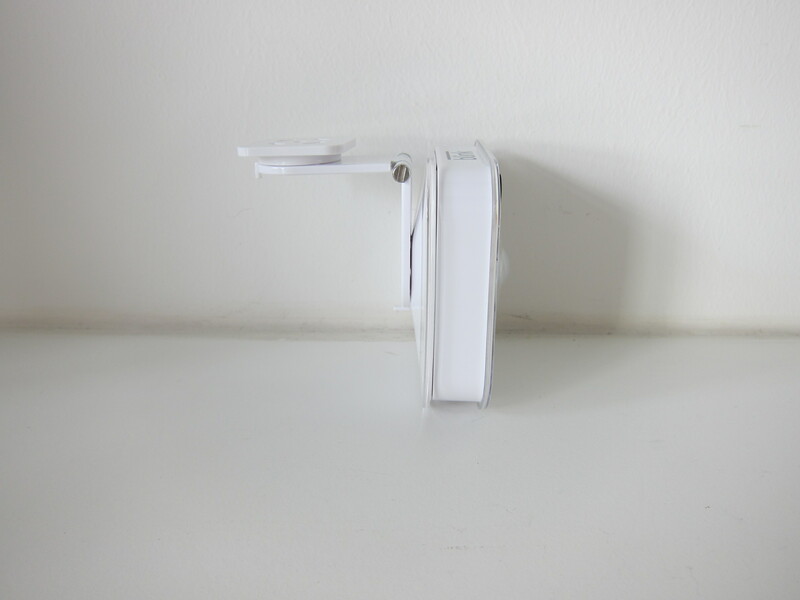 The length of the recording can be adjusted between 1 and 10 seconds. 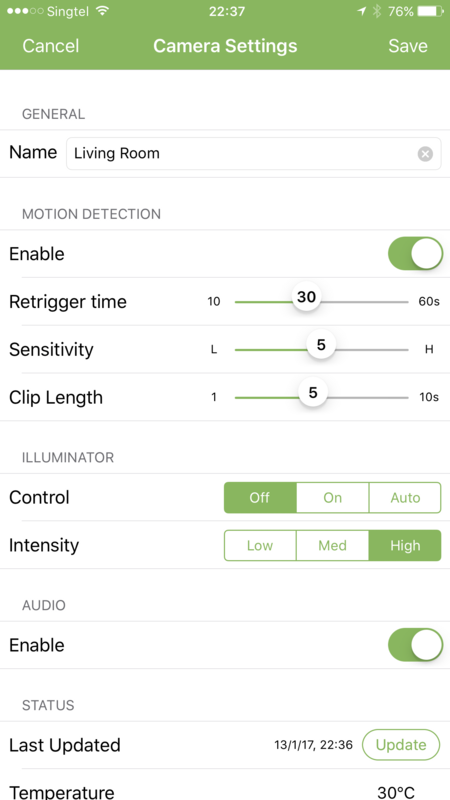 Support for 60 seconds clip length is slowly rolling out to all users. 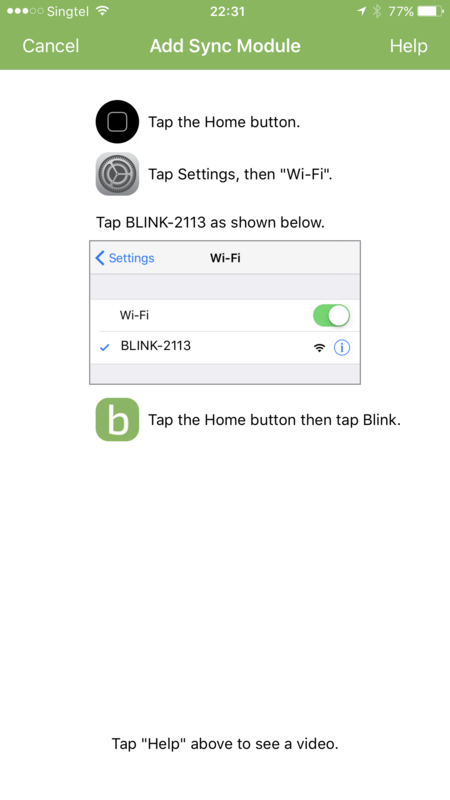 My Blink System has not received the update yet. 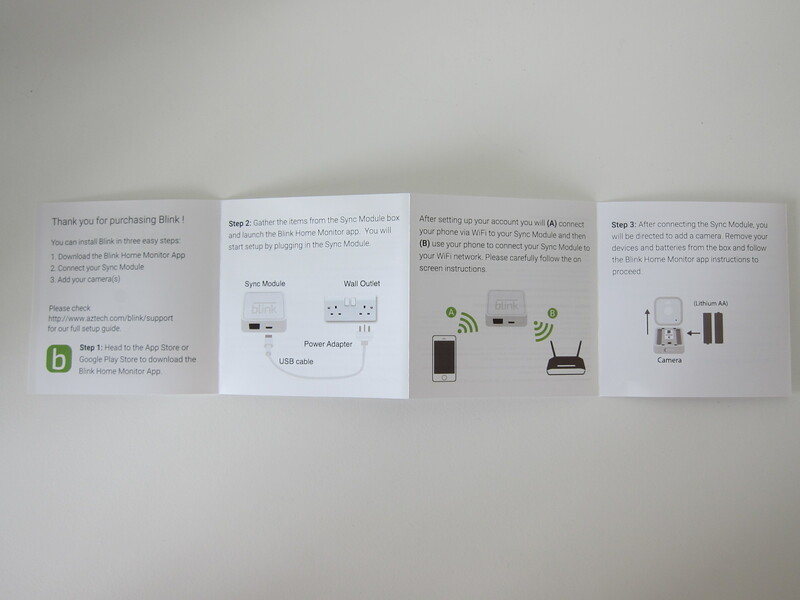 The recorded clip is stored on Blink’s server and the limit is based on the total length of your recorded clips which is up to 7,200 seconds (2 hours). Once that limit is reached, the oldest clip will be overwritten. 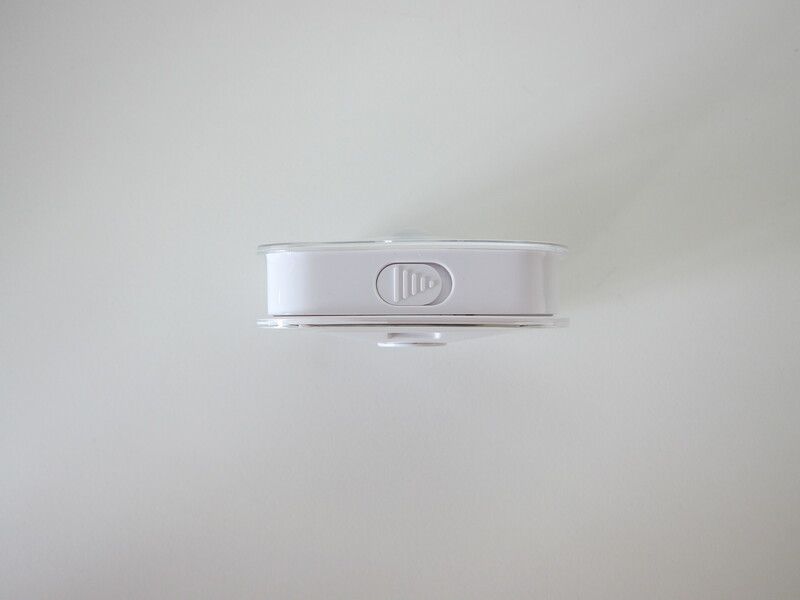 If you keep getting false alerts or not any alerts from the motion detection, you can try adjusting the sensitivity of the motion detection from a scale of 1 to 10. 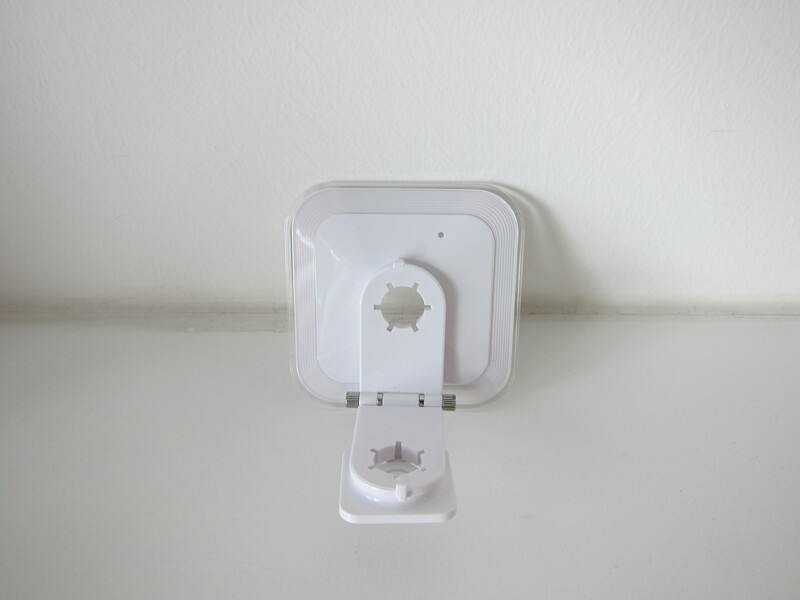 It has a built-in microphone to record audio as well, but unlike the Nest Cam, you can’t speak into it. 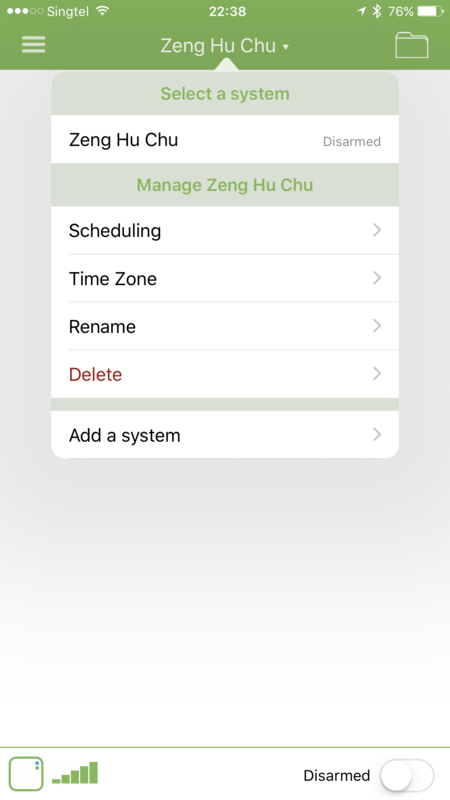 There is an auto arm/disarm feature which is based on scheduling. 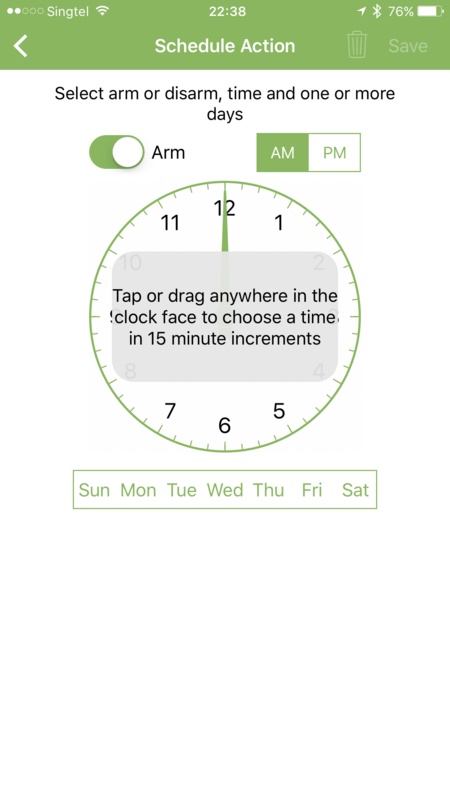 You can set which day and time the Blink System is supposed to be armed/disarmed. I wish they could use my mobile phone location for the auto arm/disarm as well rather than relying on a fixed schedule which seems pretty rigid. 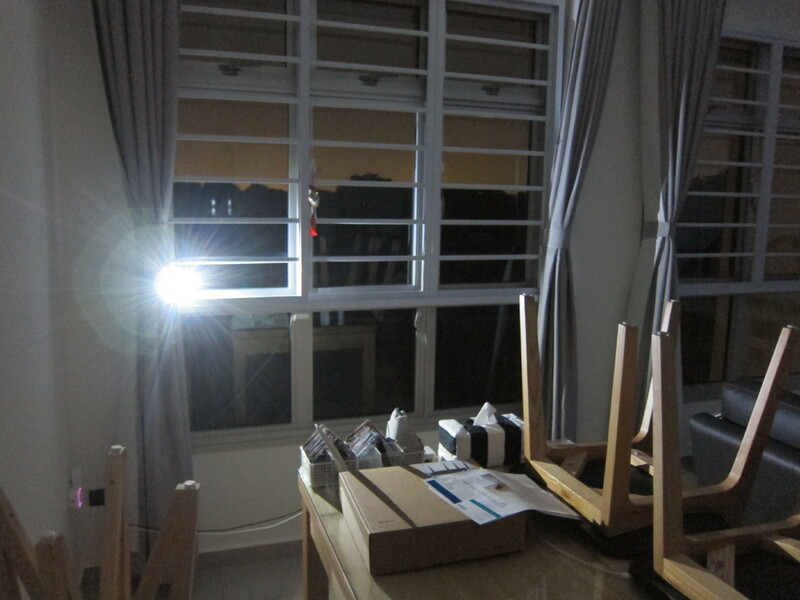 The video records in 720p. 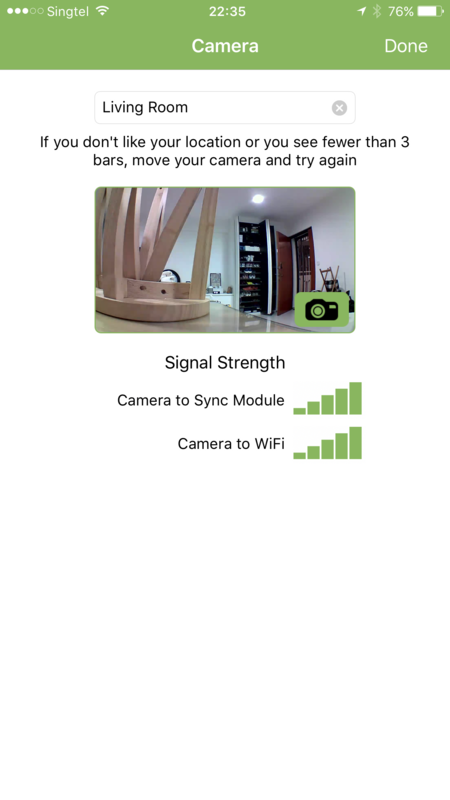 It is not an issue for me as my Nest Cam also records in 720p for optimal performance. 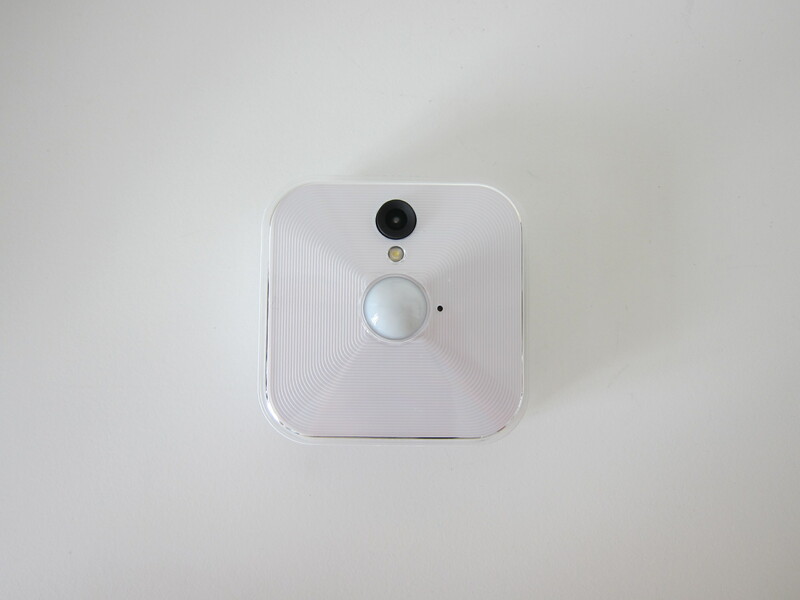 The Blink Camera has a built-in temperature sensor, and hence it is able to tell you the temperature of the room that it is placed in. 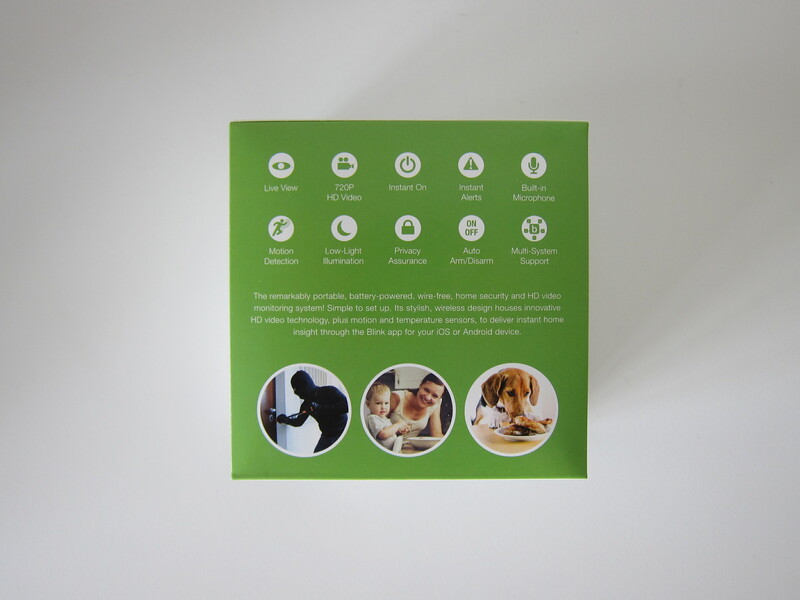 It is a nice touch, but I don’t find that particularly useful. 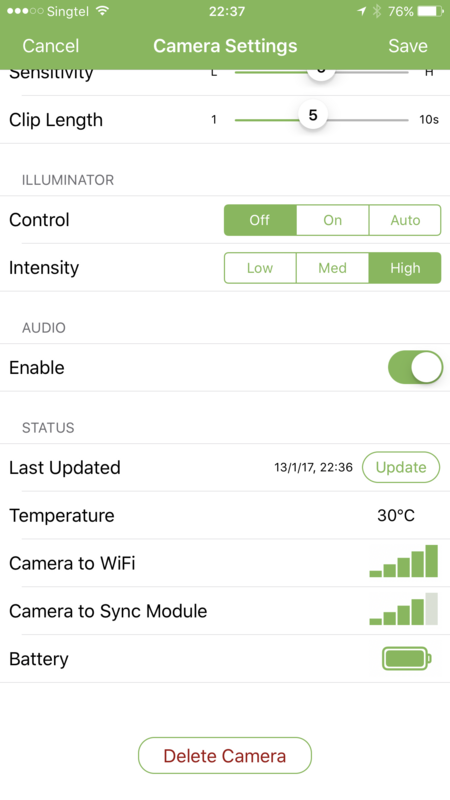 The Blink Camera is not designed to stream live and hence it only allows you to stream 30 seconds of live video at a time. 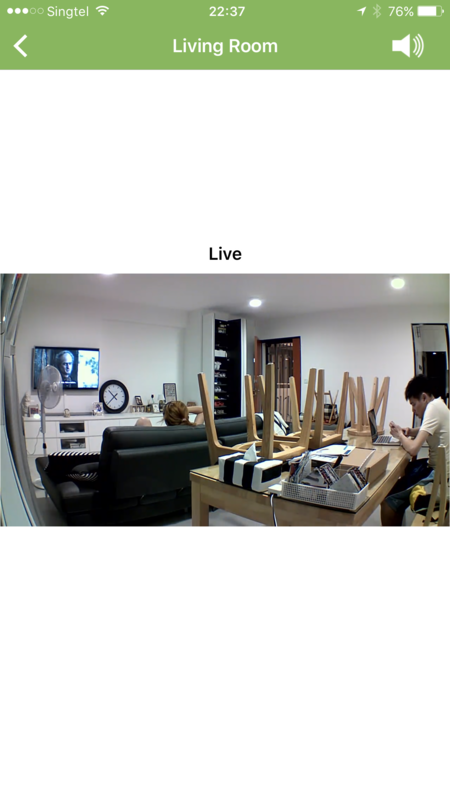 While live streaming, you will not able to record or take a photo of the live stream. 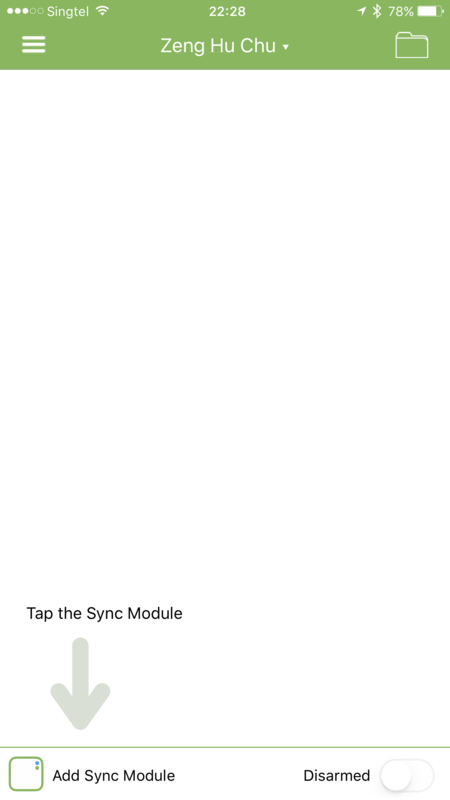 After 30 seconds, a pop-up will appear asking you if you want to “Continue” and you can tap on it to keep watching. 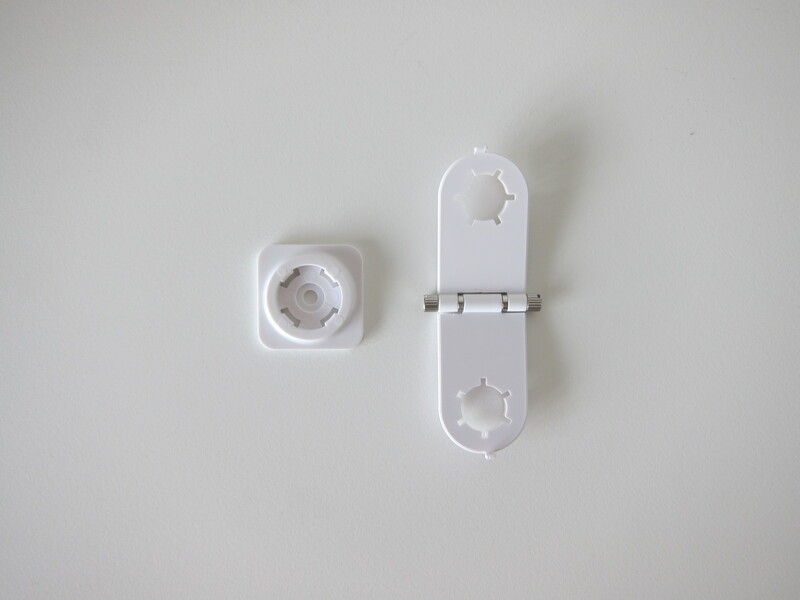 I don’t find it an issue because I don’t stream live from my Nest Cam as well. 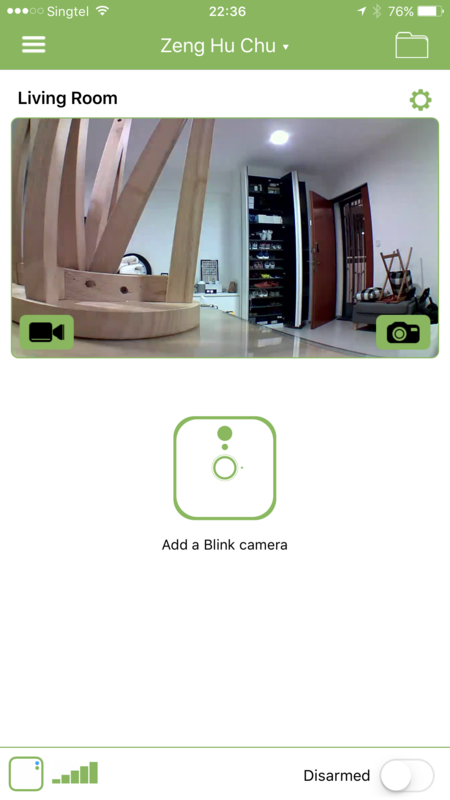 The night vision mode of the Blink Camera is quite poorly done. 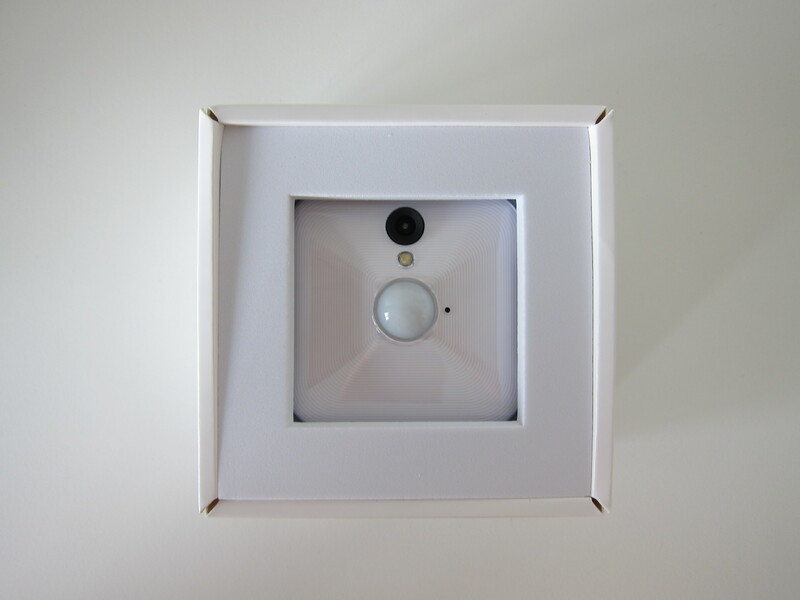 When there is motion detected or when you are live streaming, it basically lights up the place using its built-in LED illuminator so that it can capture the event properly. 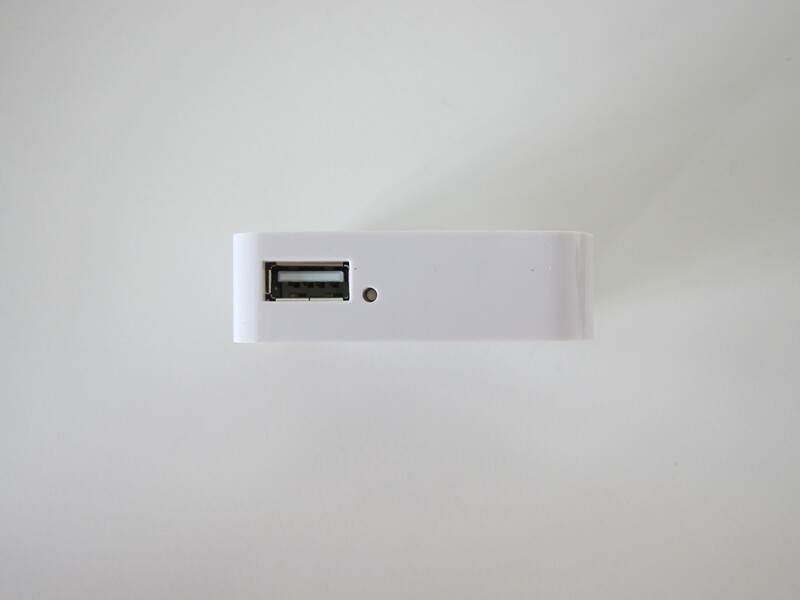 There are a USB Port and Ethernet Port on the Blink Sync Module for future proofing. 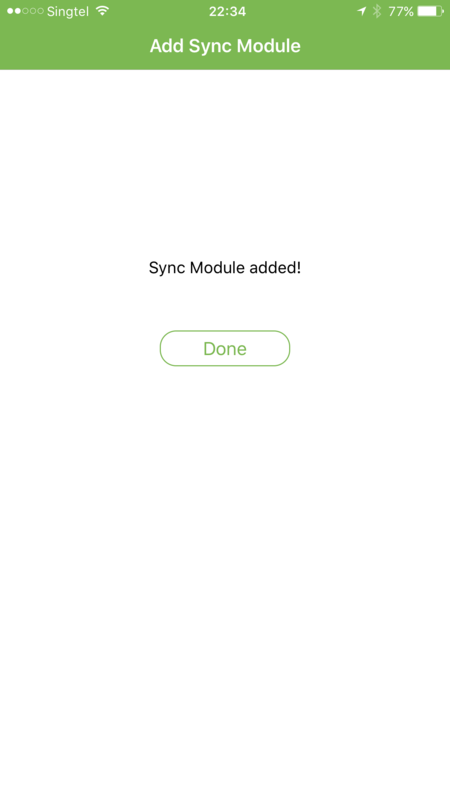 At first, I thought I could connect the Blink Sync Module via LAN, but unfortunately, that didn’t work. 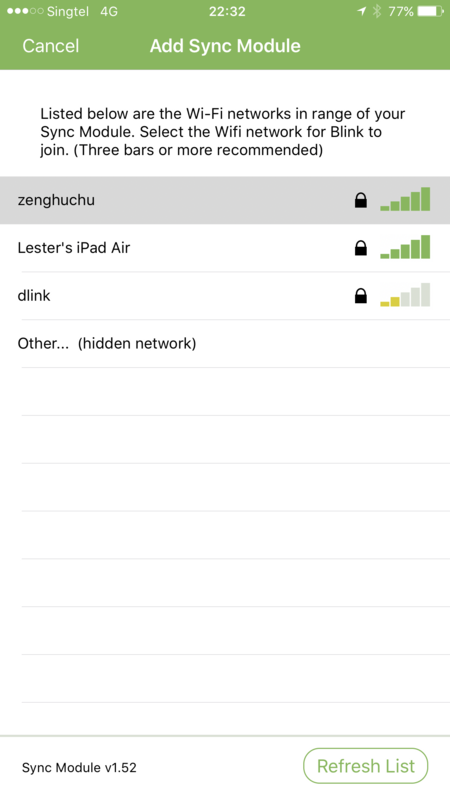 So for now, you can only connect it via wi-fi. 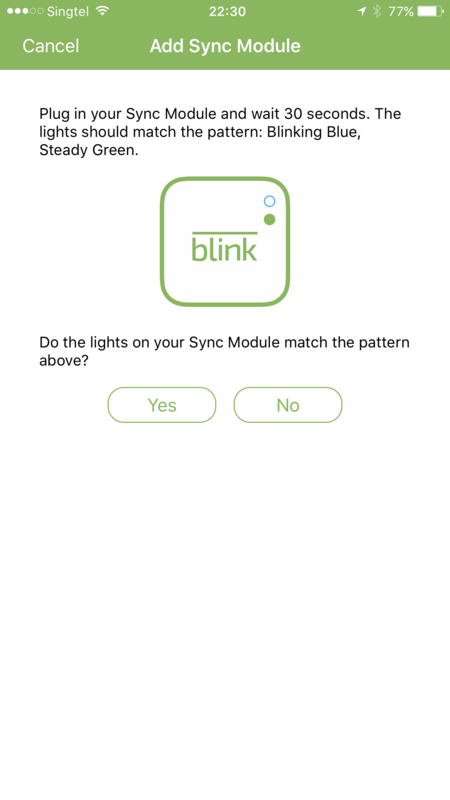 Amazon Alexa is being supported through the “Blink for Home” skill. 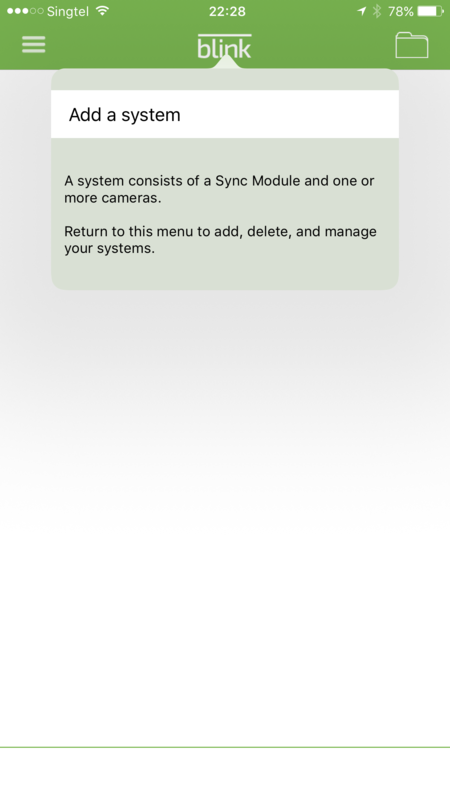 You just have to install the skill on your Alexa app and then you can ask Alexa to arm, disarm or tell you more about your Blink System. 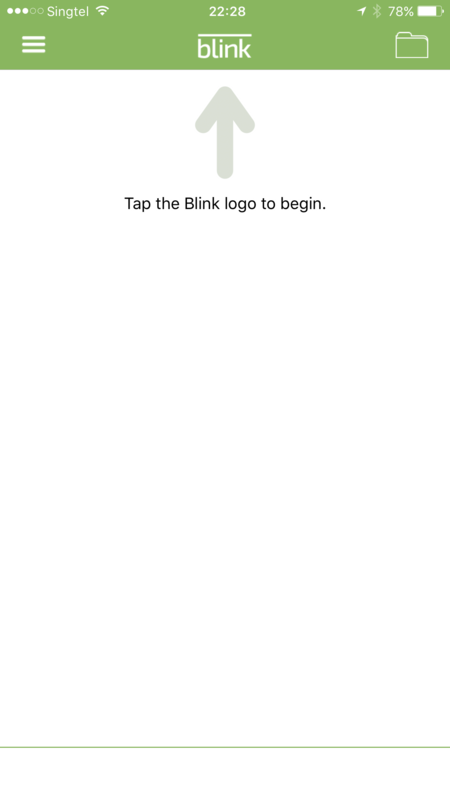 I love that the whole Blink System is being priced very reasonably. 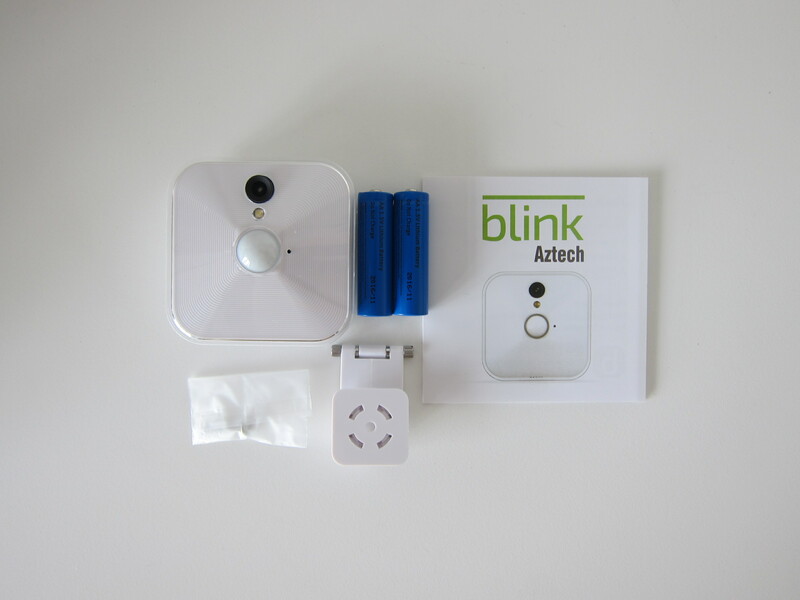 The Blink Starter Kit is priced at S$188 and each Blink Camera is priced at S$138. 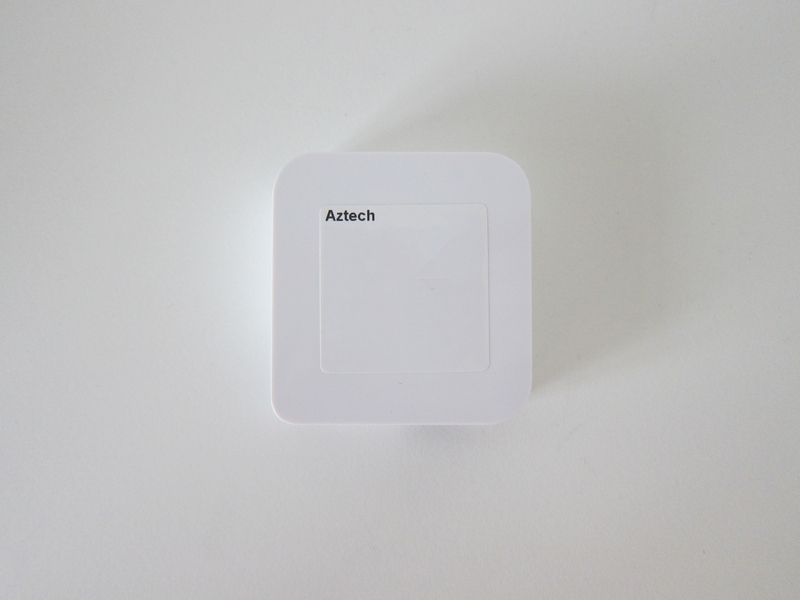 You can probably get a couple of those to monitor important areas of your home. 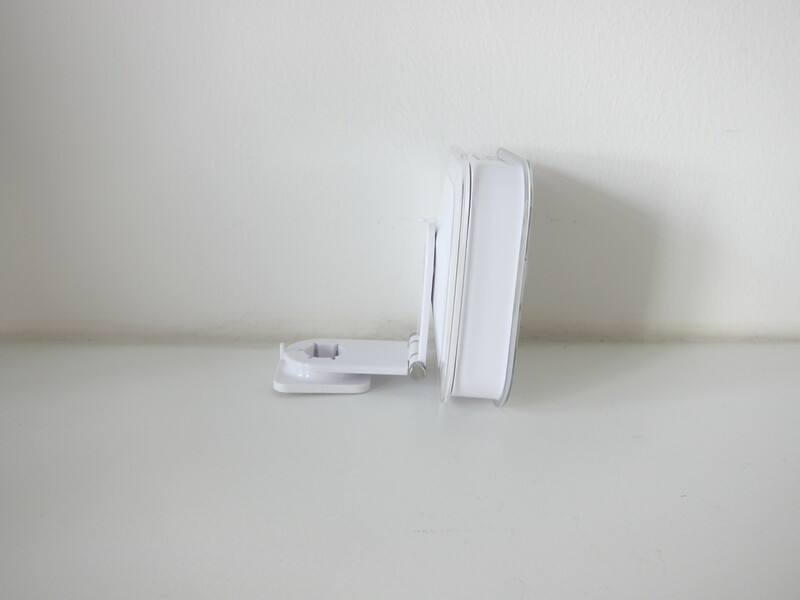 Being truly wireless is very convenient. 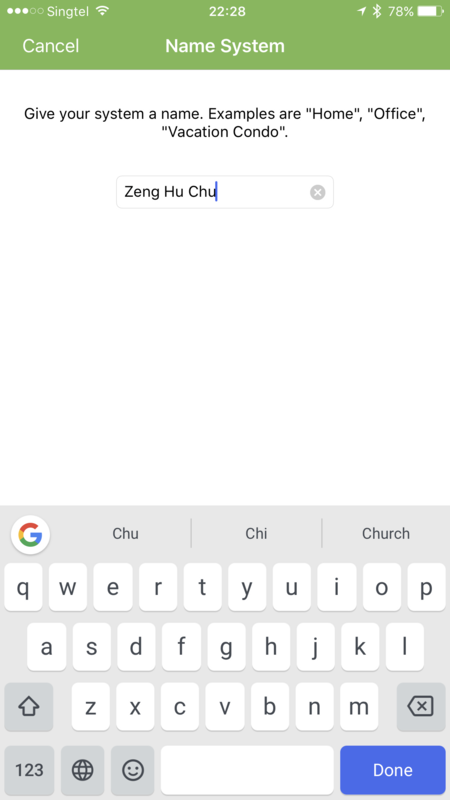 I appreciate this feature the most. 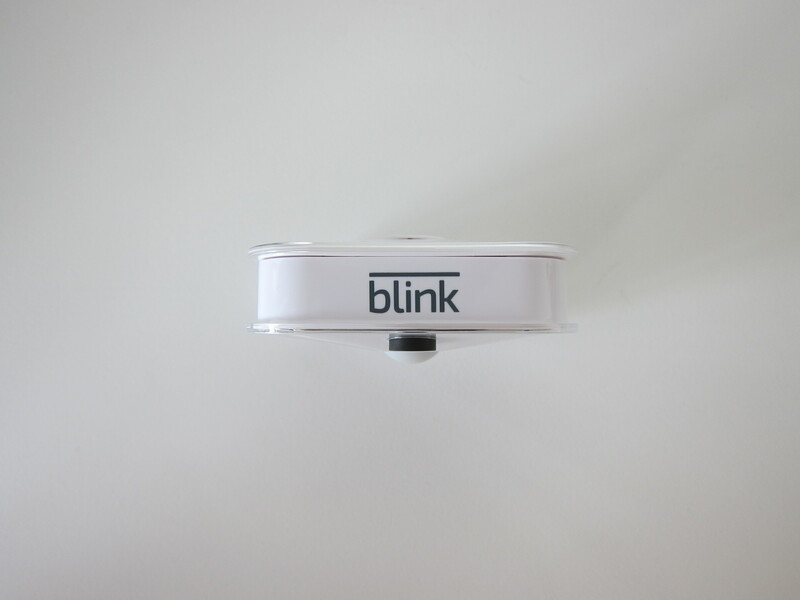 I can literally place the Blink Camera anywhere in my home without the need to think of a power source. 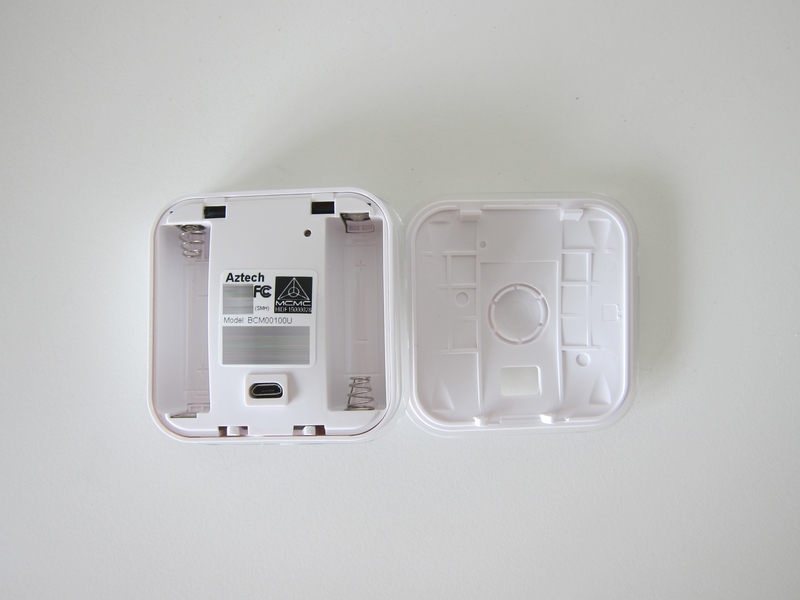 Even if the batteries can only last for a year (50% of what they claimed), it is still good enough. 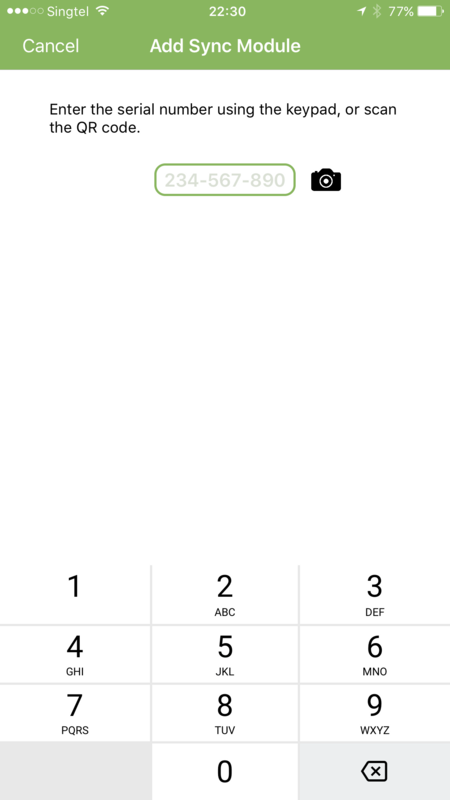 I can see that the app and features are still very basic and in an early stage. 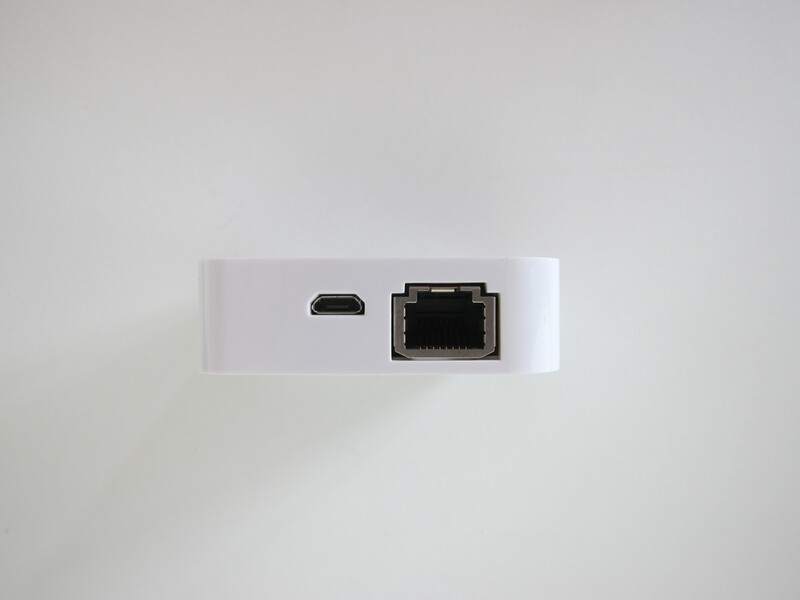 I hope to see more features along the way especially the use of the Ethernet port on the Blink Sync Module and the ability to arm and disarm automatically based on my mobile phone’s location. 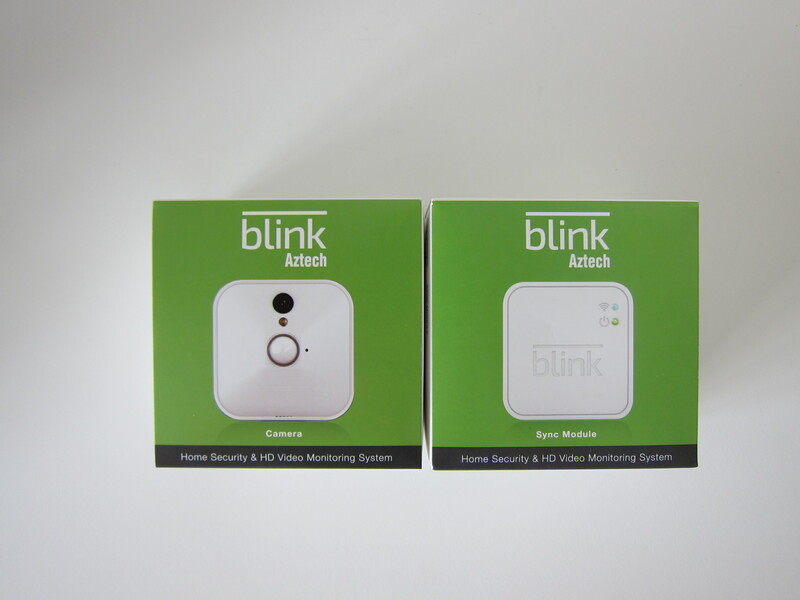 The two things that the Blink System is not good at are live streaming and night vision. 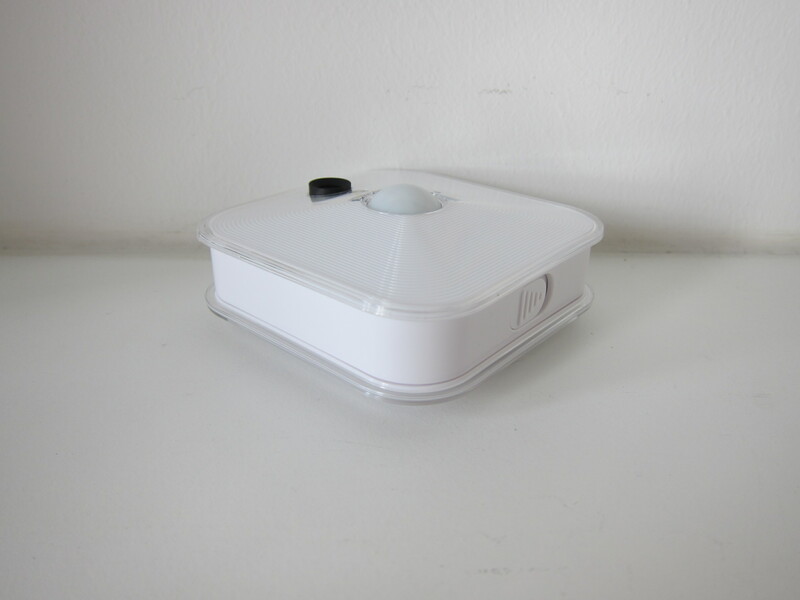 If any of this two functionality is important to you, it is better for you to use a normal wireless IP camera which is constantly powered and uses infrared LEDs for night vision. 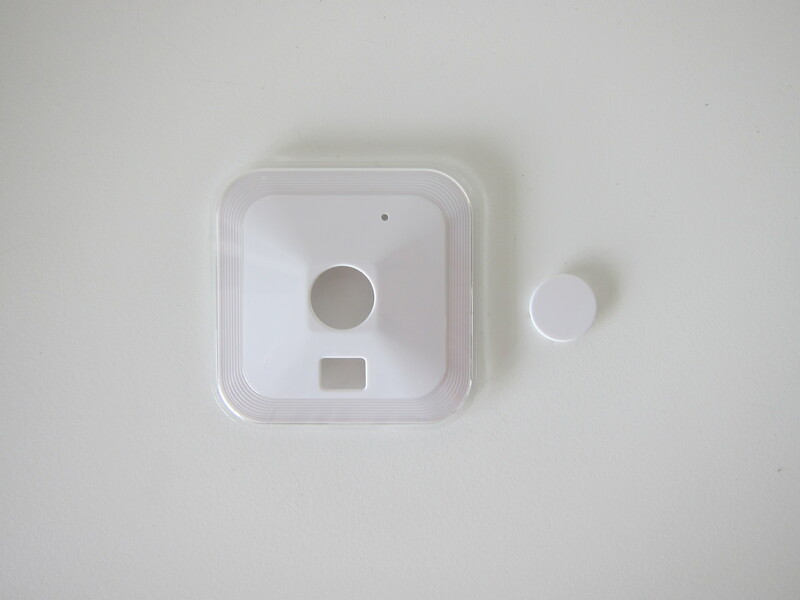 Other than that, given that the Blink System is truly wireless and the price is very reasonable, I would totally recommend getting it and start monitoring your home. 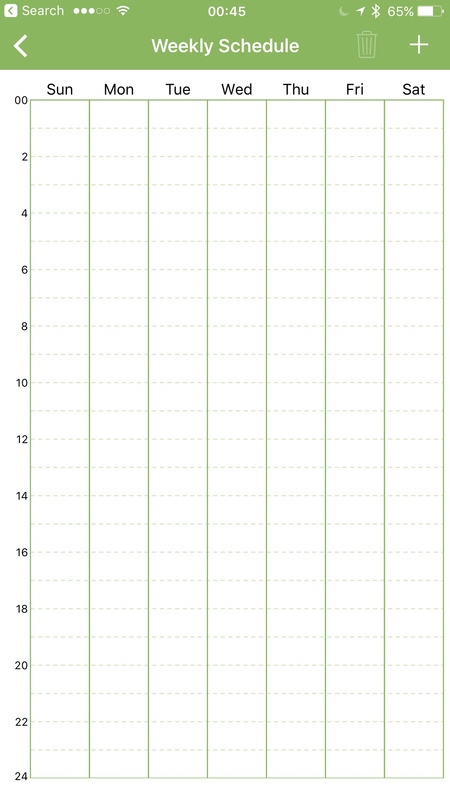 This page is generated on 19th April 2019, 04:41:26 (UTC) in 0.326s with 18 queries using 2.0 MiB of memory.